This hawker centre food stall, Ho’s Kitchen, comes highly recommended by a friend of TY for its yummy sambal fried mee (also known as mee goreng) and its cheap price ($2.50) yet huge servings. There is actually a reason why this stall serves cheap food with huge portions. Taman Jurong Food Centre is located around industrial estates and this centre is a frequent lunch venues for many blue-collar factory workers in the area. Thus the stall owners decided to provide them with a lunch that is affordable and at the same time filling enough. Besides sambal fried mee (mee goreng), the stall also serves other dishes e.g. hor fun and rice with meat cooked in different styles. 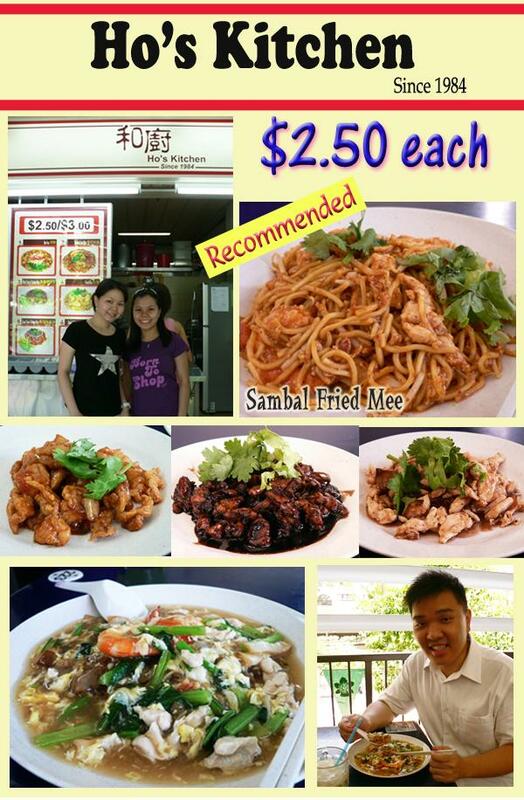 We tried the sambal fried mee and hor fun as well as the chicken cooked in different styles. Very yummy! The meals are totally worth it for just $2.50 and we are so full after this meal. 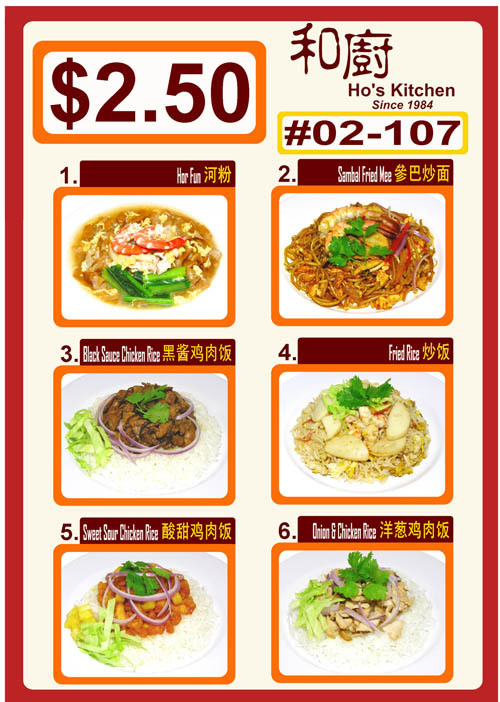 I think it is hard to find any other places in Singapore that serves such yummy and filling meals for only $2.50. I shall not try to describe the taste of these food – I will let the pictures do the talking. Note: The chicken pieces come together with rice. 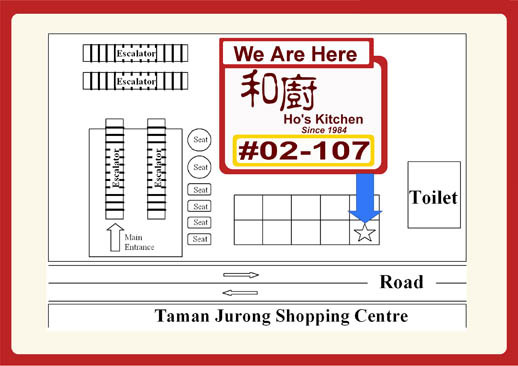 Once you have reached Taman Jurong Food Centre, follow the directions in the map below to try Ho’s Kitchen yummy sambal fried mee (mee goreng). This eatery is formerly from 35 SCE (next to the boat shed). Food is really cheap and good. Best hor fun that you can find in Spore!!! Must try!! Gosh! I live near there and I don’t even know? Ok, must try. Thanks!!! $2.50 for generous serving of instant zi char?! Any chance of re-location to central area or opening another branch? Bet I could save a bundle!